Radio Frequency Identification(RFID) uses radio waves to read information from tags mounted on various assets and equipment , KPGTC’s tracking solution automates the location of the asset’s and its status with the help of a comprehensive suite of tags, readers and software using the latest in Radio Frequency Identification (RFID) technology to locate them in a wide variety of environments. The time it takes to conduct inventory or locate people is significantly reduced while data accuracy is increased. Everything from people ,computers, smart devices, book, furniture, vehicles, and supplies can be reliably located. The solution integrates passive and active RFID, bar code and GPS into a single intuitive system. Can integrate with existing ERP, Asset and Warehouse management systems. 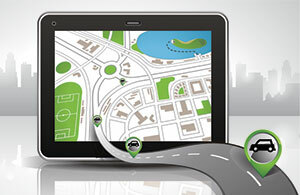 Vehicle Tracking System (VTS) involves the installation of an electronic GPS tracking device in a vehicle with purpose designed computer software which is installed on a desktop or mobile device to track the vehicle's location, parameters , usage etc . Closed-circuit television (CCTV) is the use of video cameras to transmit a signal to a specific place, on a limited set of monitors. 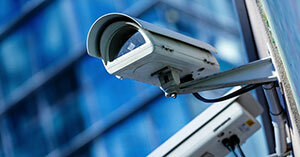 CCTV can be a single network of cameras or multiple networks of camera’s linked together via switches, internet, DVR or wide area computer technology.